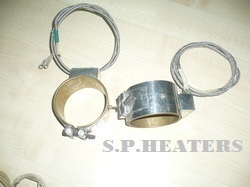 We make outstanding quality mica band heater for our clients and make sure that it offer excellent functionality. We provide the mica band heater at market leading rates. We are a trusted name that is engaged in manufacturing, supplying and exporting a vast array of Mica Band Heaters. 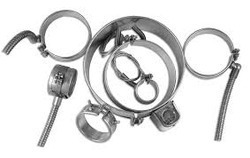 These products are manufactured using nickel chrome resistance ribbons that are coiled on selected mica or micanite sheets. All our products are rolled into the required shape after insulating these using a metal sheathing. Our range is available in terms of inside diameter & width of the heater, wattage & voltage, construction type, type of terminal and drawing where special holes and cutouts are required. We offering high quality Industrial Mica Band Heaters, which are economical and efficient solutions for various applications, especially in plastic industry. It is also used in extruders and injection and blow moulding. They require a maximum operating temperature of upto 300 degree. It is offered with an in-built insulation pad for minimizing the power consumption. High Quality Nickel Chrome ribbon. We offering high quality Mica Band Heaters, which are economical and efficient solutions for various applications, especially in plastic industry. It is also used in extruders and injection and blow moulding. They require a maximum operating temperature of upto 300 degree. It is offered with an in-built insulation pad for minimizing the power consumption. We are also manufacturing as per your requirement. Looking for Mica Band Heater ?